Built for top speed and maneuverability, this high-performance longboard model is designed with a modern twist on a classic shape. 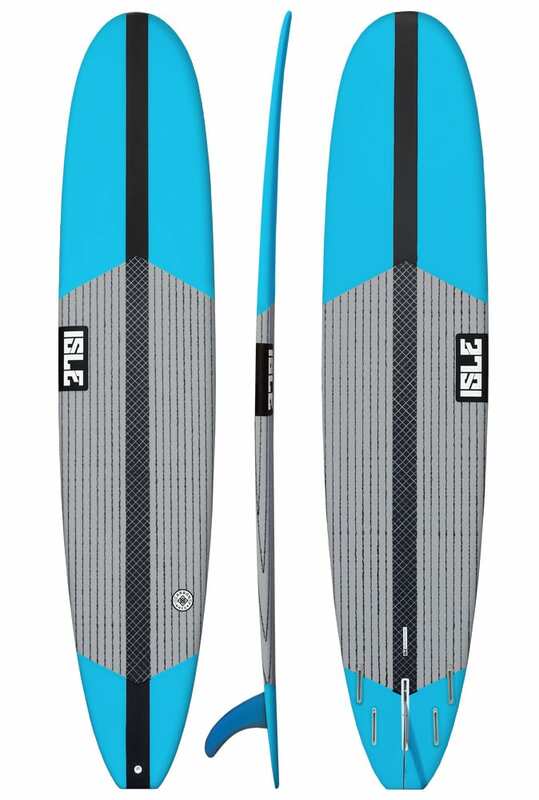 With added nose rocker and high performance rails, this model allows for faster turns and nose riding in both small and large surf. 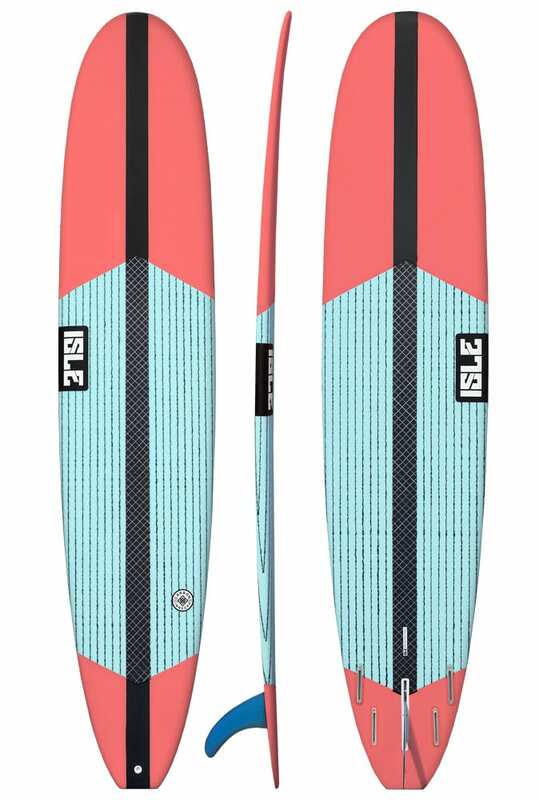 The ISLE Performance Longboard is designed for max performance and will work great in all types of surf. This is a board that generates tons of speed down the line – and you can do top-to- bottom surfing. Perfect for the skilled rider who wants to have more fun on a longboard, it’s also a great “first board” pick for surfers wanting to grow into a board. The design kicks off with a pulled-in nose and subtle concave, providing lift for nose riding. Additional rocker lets you surf in much more pitchy, hollow waves compared to our Classic model. With shortboard-inspired attributes – like a sleeker, thin design and more performance rails –the Performance Longboard is extremely responsive for rail-to-rail surfing. The mid-section of the board transitions into a full V, allowing tons of speed and control on every wave. The pulled-in squash tail will really dig into a wave, allowing for aggressive turns without losing any speed. 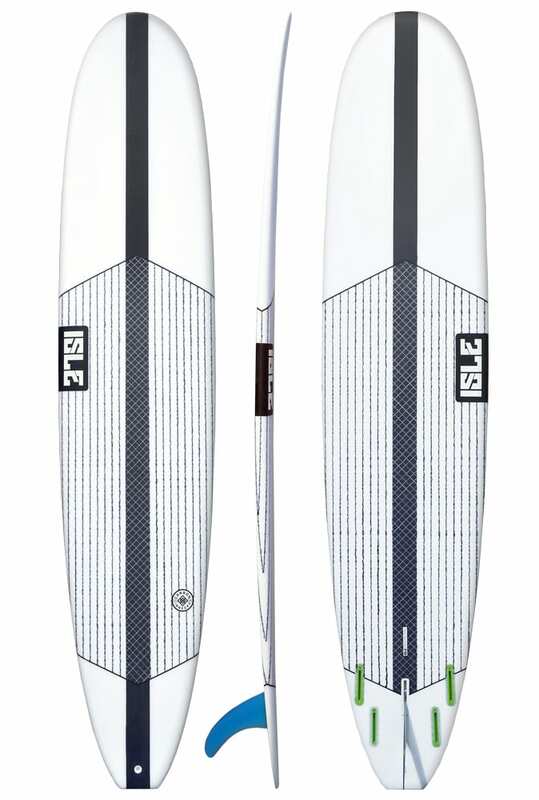 The 4+1 fin setup is perfect for adjusting to different conditions and styles. For tighter turns, opt for a quad setup. If you’re looking for a looser tail, go with a thruster. 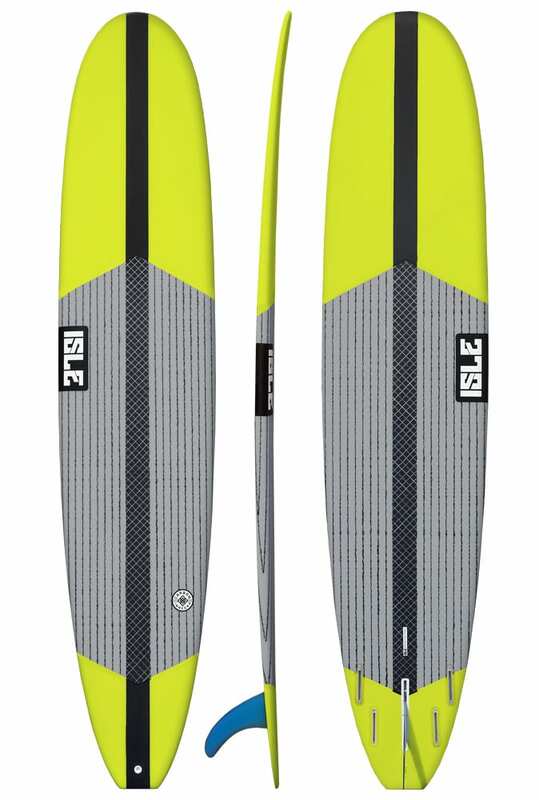 The ISLE Performance Long Board is the model for you, if you are looking for a longboard that turns like a pro and boasts plenty of speed.